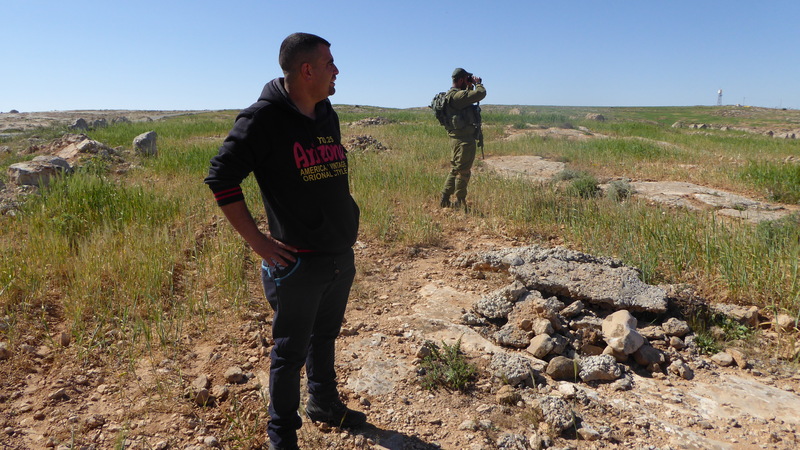 We recently went on an excursion into the countryside with Nasser Nawaja a local contact and resident of Susiya. 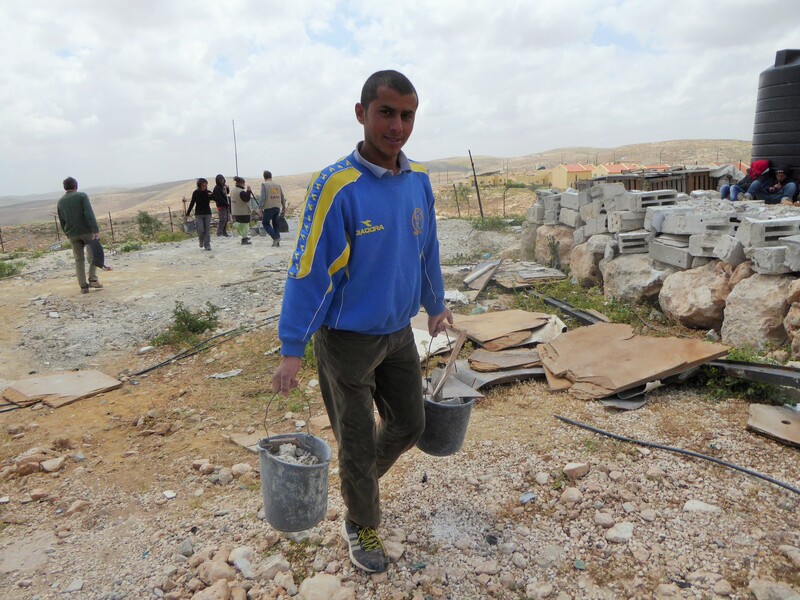 Nasser is a field researcher in the South Hebron Hills for B’Tselem an Israeli-Palestinian human rights organisation. Through his work he knows the fragmented pastures around Yatta like the back of his hand. While touring with Nasser he pointed out a number of restricted “security zones” around the settlements and explained how the grazing land is divided up between Palestinians and Israeli settlers. The first thought that struck me, while he spoke, was that there really should be no “division” as such, nor any dispute over who goes where; the UN has after all officially recognized Palestine as a country. Since the beginning of the Israeli occupation in 1967 lands have been expropriated from their Palestinian owners under a variety of pretexts in order to allow the building of settlements. There are approximately 150 settlements in occupied Palestine. Significantly these settlements have large ‘buffer zones’ around them which Palestinians are denied access to. Compulsory purchase orders have been enacted which have taken advantage of legal frameworks dating from the times of the Ottoman Empire. According to Ottoman law all land belongs to the State unless someone can specifically prove ownership in writing; further clauses have allowed the confiscation of land that has not been used or cultivated for three years. These laws tend to work against Palestinians living on the “seam zones and security areas”, where they are often denied permission to cultivate the land. Additionally when a dispute arises over the ownership of a particular tract of land, any use of the land is prohibited. This results in further loss of land and livelihoods for local herding communities. While Nasser spoke I tried in ernest to take the new information on board and to discern the logic of it all, if only so that I might remember the status quo in different strips of land on different hilltops. In the end I gave up realising it was a fruitless task and concluded “there was no logic”. 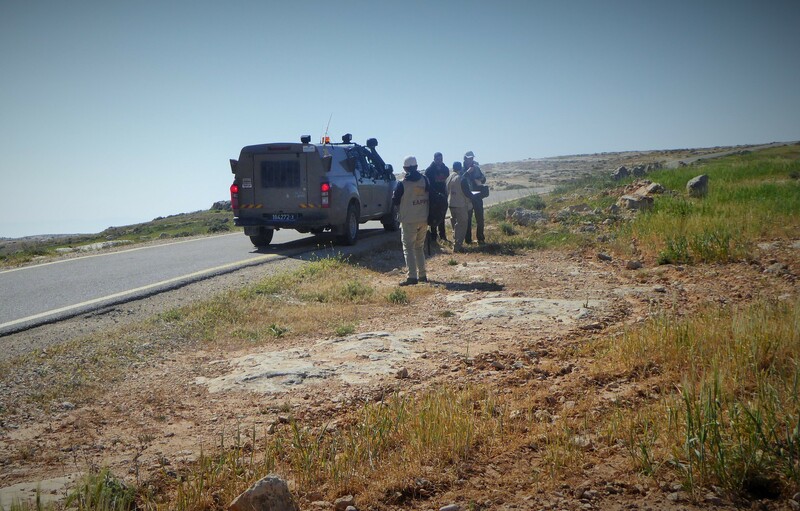 Soon after a patrol car appeared behind us and some Israeli soldiers beckoned us over. By coincidence, at that precise moment Nasser spotted a few goats belonging to the nearby settlement, grazing in an area that was off-limits to all parties. 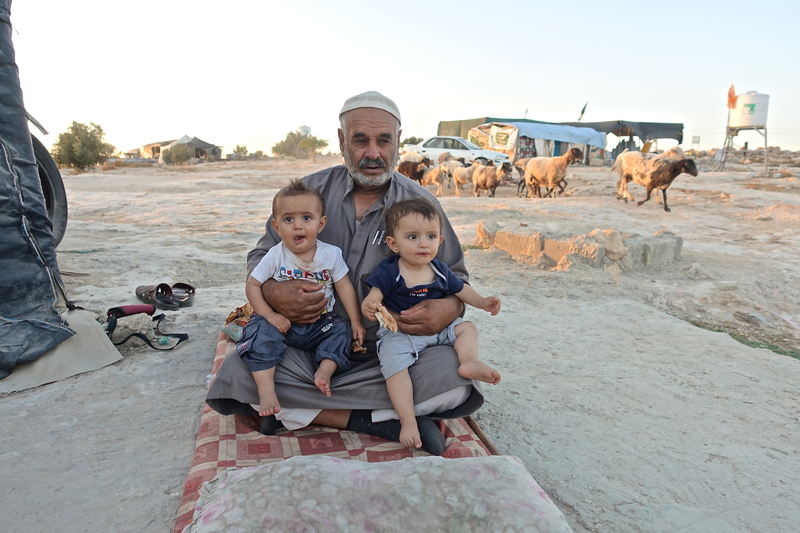 He pointed them out to the soldiers and asked why the goats were not being driven away from the prohibited area like Palestinian shepherds often were. The soldiers had no answer to this and they got back into their personnel carrier and drove away. I burst out laughing but then I felt ashamed. The situations one encounters in this bizarre patchwork quilt of hills and valleys would be comical – if it were not so tragic for so many. Each and every ‘re-zoned’ strip of dirt is somebody’s lost land. Just a few days ago, our team rolled up our sleeves and joined the locals who were working to clear the demolition rubble away from the foundations of a house that had been leveled. 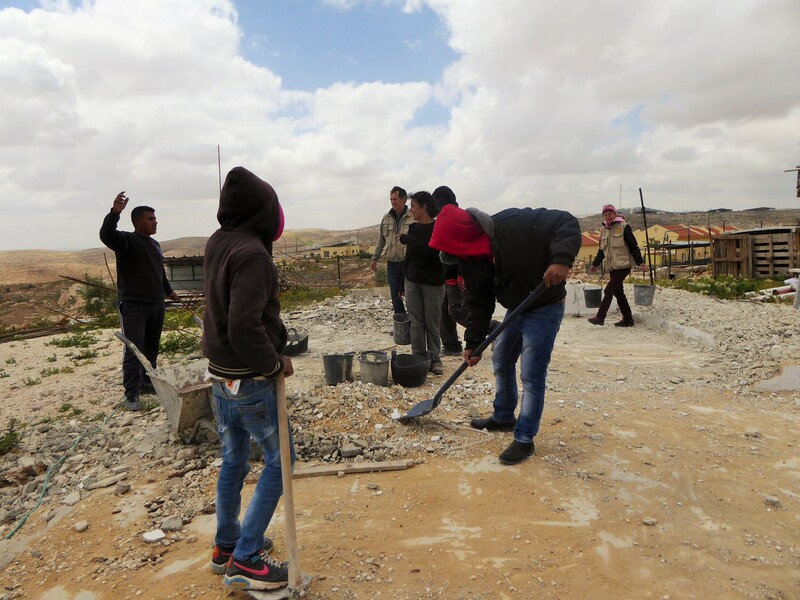 The Israeli military carried out the demolition of a dozen homes in the Bedouin village of Umm al-Khair in October 2014. Umm al-Khair is bordered by the Israeli settlement of Karmel. This particular family does not intend to leave and share their hopes and plans for rebuilding. They tell us that they will not build on the site where their previous home stood since the early 1960s, but right next to it. Many victims of demolition do this in the hope that the time it takes for a new building application to go through the courts will buy them some time in their new home. The temporary emergency shelters which the families now live in have been funded by both the European Union and the United Nations’ Office for the Coordination of Humanitarian Affairs (UNOCHA) and although this international support is greatly appreciated the residents say that they expect that these shelters will also be demolished before long. 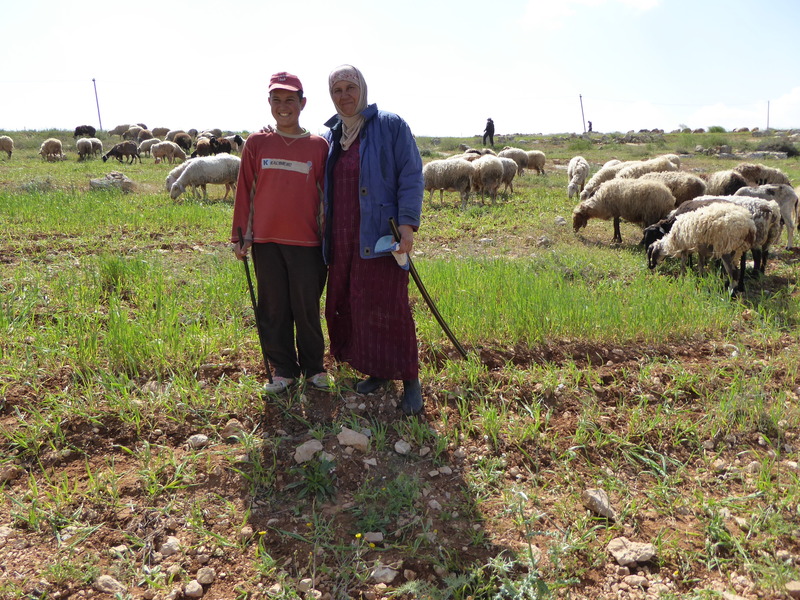 This is rural life in Area C in Palestine. Approximately 99% of all Palestinian planning permission applications are rejected. Significantly, while old Palestinian houses are being demolished on regular basis, settlements, which are deemed illegal under international law, are being expanded at a steadily increasing pace. In some cases entire villages are under threat of demolition. 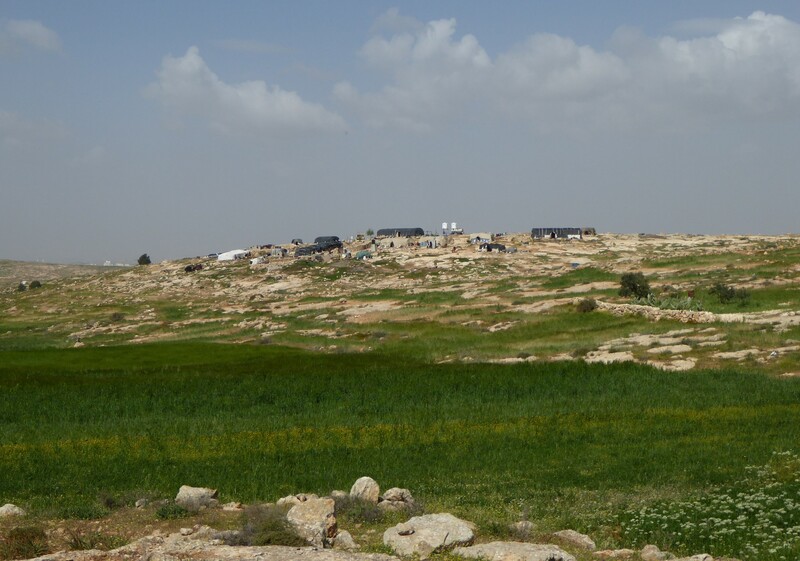 The one that is probably closest to the heart of us EAs in the South Hebron Hills is the small community of Susiya, which has recently been featured in the pages of Israeli and Palestinian and international newspapers. Some 550 people live in the village of Susiya. Their main source of income comes from farming and animal husbandry. From the outside, the village might look like a ramshackle tangle of tents and shacks, but it has a soul and a school and a whole lot of children. Village community life flourishes. The village of Susiya was here at its original location from the early decades of the 19th century. 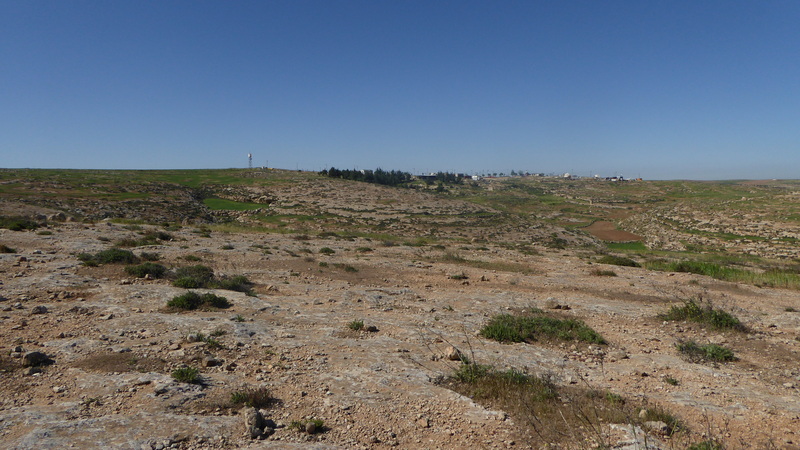 In 1986, the Israeli Civil Administration declared the village land was an archaeological site and the residents were expelled and the land was confiscated. Since then the village’s history has been one long chapter of nonviolent struggles against demolition orders. Just some weeks ago, the Civil Administration announced it had quashed the last legal obstacles to the complete destruction of the village. “Complete” in this case would not just include their makeshift homes but livestock barns, water tanks, solar panels – everything in the village. Things are rather different at the neighbouring Susiya settlement, built on village land from 1983 onwards. Life in the Israeli settlement carries on without any threats of the demolition. 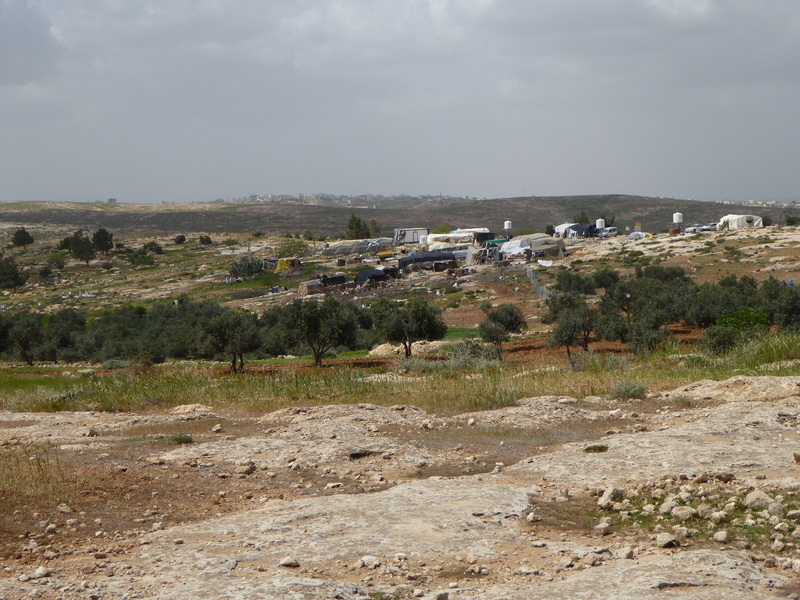 The story of Susiya is one of many in the South Hebron Hills region, where too many people live from day to day never knowing when the next expulsion will come. 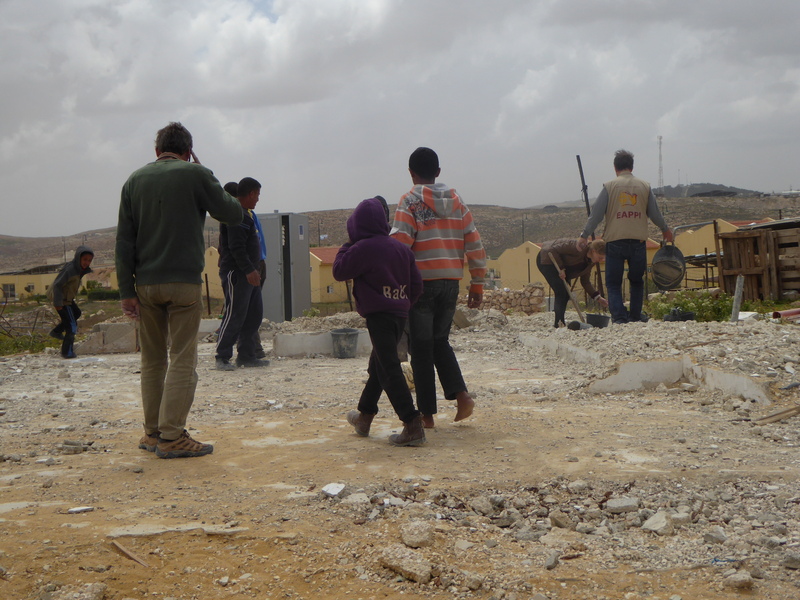 On the 10th of May the Civil Administration began ‘mapping’ Susiya – residents fear imminent demolition. Click here to learn more. 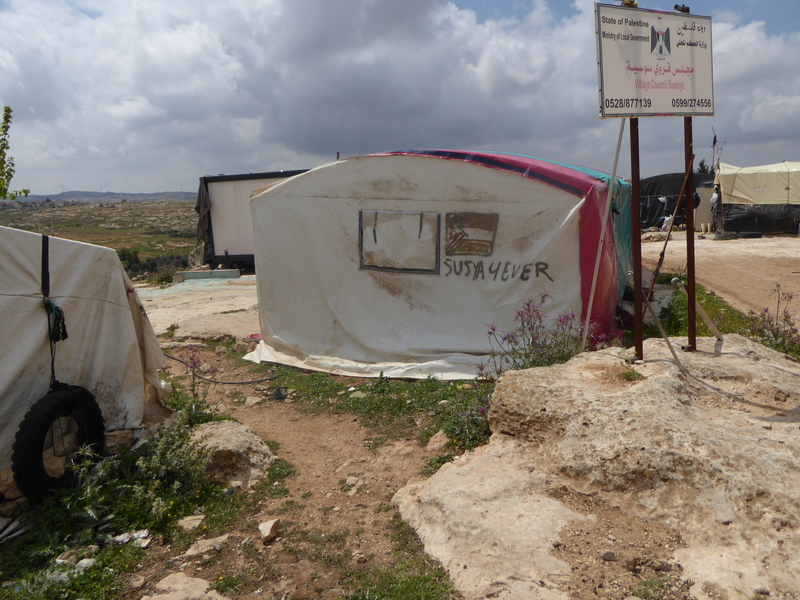 Sign and spread the Avaaz Petition started by Susiya resident Nasser Nawajeh, Save My Village! You can help their cause by sharing their story and spreading B’Tselem’s appeal through social media using #SaveSusiya.